Texas A&M-Kingsville is South Texas' greatest university, offering more academic programs and degrees, providing better learning and living facilities, doing more research, awarding more scholarships and producing more successful graduates than any other college or university in the region.Texas A&M-Kingsville seeks to provide quality undergraduate and graduate programs for students of all ages through a judicious blend of liberal and career education programs. The emphasis is on providing an intellectually challenging education reflecting high standards of academic performance. 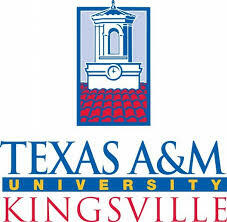 Texas A&M-Kingsville is dedicated to serving an ethnically and culturally diverse population. The University is committed to its mission of teaching, research, and service in South Texas for the advancement of knowledge and of regional development.